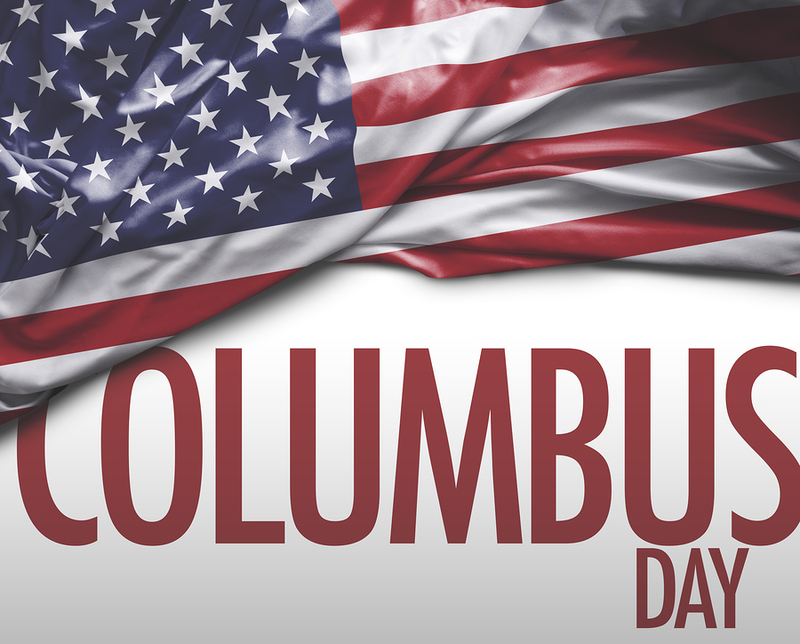 Columbus Day is celebrated in most of our states and is a celebration of the anniversary of Christopher Columbus’s journey from Europe to the US continent over 500 years ago. Columbus arrived on what is now American soil on October 12th, 1492. The holiday is celebrated as Columbus Day in the USA but is also celebrated in other countries such as Spain where it is also the religious festival known as “la Virgen del Pilar.” Further countries include Uruguay, Argentina and Italy all with their own holiday variations on this day. The holiday has been celebrated since the 18th century unofficially and became more legitimized towards the early 20th century. The holiday was celebrated in 1792 – the 300th anniversary of the landing of the “New World.” The president at the time was Benjamin Harrison and he called for further celebrations, encouraging the public to remember the historic event and celebrate the 400th anniversary when it should come. Columbus Day was not celebrated as an official holiday of the state until 1906 and subsequently became a federal holiday in the US in 1937 under the presidency of Franklin D. Roosevelt. However, citizens have celebrated Columbus’s great voyage since it occurred over 500 years ago. Columbus’s journey began on August 3rd, 1492 setting sail from Palos, Spain with his ships the Nina, the Pinta and the Santa Maria. The 400th anniversary was celebrated in style and it is around this time that many public members with influence began to use the holiday as a way of teaching ideals of patriotism. This included politicians, poets, teachers and preachers who sought to teach citizens patriotic themes such as nation loyalty, social progress and citizen boundaries. The figure of Columbus was used as an idol for young Americans who wanted to become learned and adventurous just like the explorer. Another interesting aspect to the holiday is that it is celebrated widely by many Italian-Americans as a celebration of their heritage. Columbus Day was first thought of as a legal holiday in America through the lobbying of Angelo Noce, an Italian of first generation who resided in Denver, Colorado. Additionally, the first state wide Columbus Day holiday was confirmed by the governor of Colorado at the time, Jesse F. McDonald. Columbus Day is observed in a variety of ways and varies from state to state with a lot of states having large scale parades and events with some members of the public choosing to not observe at all. Most states celebrate it as an official state holiday while others operate as normal. If you are feeling patriotic, check out our tours and we could arrange some sightseeing for you in early October if you are a Columbus Day supporter.